Pacific Northwest National Laboratory veteran economist and climate researcher Jae Edmonds has been named a Battelle Fellow for his long history of accomplishment and service to the climate science community. RICHLAND, Wash. — Veteran economist Jae Edmonds has been named a Battelle Fellow, a rank shared by only five other Pacific Northwest National Laboratory scientists and engineers. The honor recognizes Edmonds, who's been at the Department of Energy laboratory for 25 years, for his scientific accomplishments, leadership within PNNL and long record of service to national and international climate science communities. He conducts his research at the Joint Global Change Research Institute, a collaboration between PNNL and the University of Maryland in College Park, Md. 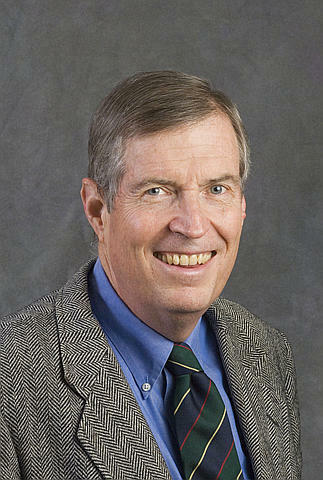 As a pioneer in the field of integrated assessment of energy and environment, Edmonds was one of the first researchers to link climate science to policy and decision-making. He developed computer models that explore the relationships between energy, technology, policy and the environment. Edmonds also showed that dramatic changes to the global energy system could happen in a cost-effective manner by combining different technological advancements and policy decisions. In an important contribution in the 1990s, Edmonds showed that cumulative, not annual, carbon dioxide emissions determine the long-term concentration of carbon dioxide in the atmosphere. He also was one of the first researchers to show that changes in the way people use land on a large scale can have an enormous effect on carbon dioxide emissions. Edmonds has worked with the Intergovernmental Panel on Climate Change, or IPCC, since it did its First Assessment in 1990. The IPCC shared the 2007 Nobel Peace Prize with former U.S. Vice President Al Gore. 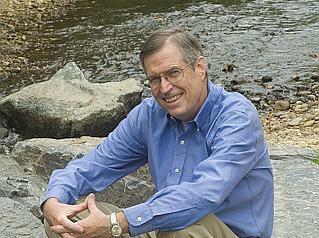 He also leads the development of the Global Climate Assessment Model, or GCAM, which models human and natural Earth systems that assess economics, energy, and agriculture land use and their interactions with physical Earth systems such as the carbon cycle, atmospheric chemistry, climate and sea level over decades and centuries. GCAM forms the base of one of four analyses in emissions modeling that the IPCC will use to assemble its Fifth Assessment due out in 2012. GCAM's scenario, known as RCP 4.5, will be run by every climate modeling team conducting research for the Fifth Assessment. "Jae's leadership has ensured PNNL's presence at the most esteemed integrated assessment and climate-related conferences and collaborative meetings in the world. He has been called upon extensively by Executive Office of the President, the U.S. Department of Energy, and the IPCC," said associate laboratory director Doug Ray, who leads PNNL's Fundamental & Computational Sciences Directorate. "A true collaborator and mentor, Jae is preparing the next generation of PNNL scientists to follow in his footsteps, as shown by their significant roles in the IPCC." Edmonds also is chief scientist for DOE Office of Science's Integrated Assessment Modeling Program, and is the chief scientist at the Joint Global Change Research Institute. He has received service awards from the Department of State and DOE's Office of Science. He has testified before Congress at least four times on how advancements in energy technology can stabilize greenhouse gases in the atmosphere. Edmonds holds doctorate and master's degrees in economics from Duke University and a bachelor's degree in economics from Kalamazoo College in Kalamazoo, Mich.